If you are forced to stay on the computer for long hours everyday, what would you do? For me, I try to sneak in a little online game or two or I would be bored like hell. I mean, there’s only so much Solitaire and Free Cell that one could play! If my free time is not spent playing games, then it is spent searching for free online game sites. As far as possible, I would only play games from sites that are free and do not need an installation. We don’t want the boss to catch us, do we? My latest discovery is Net-Games. The name says it all! However, apart from games, there are also funny videos and pictures to amuse oneself. This is one up over other game sites, me thinks. And then there are games that are sorted by popularity in the previous month or past 24 hours or games according to categories. Of course, we can also download the games if we wanted to. I have a friend who actually OWNS a game site and he says it is a money making concern. Well, I am not surprised when there are so many people who just need to play some games to kill boredom daily! 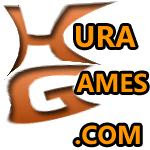 This entry was posted in Games and tagged free games, free online games, Net-Gamers, online games on June 9, 2007 by Cyberpartygal.